A delightful version of this winter classic featuring a brilliant acoustic guitar, sleigh bells, bass, and drums. Pensive and melancholic, soft piano and flute play a sad melody accompanied by acoustic guitars. Pensive and melancholic. A mixed choir sings a sad melody featuring a soft piano and flute, accompanied by acoustic guitars. An instrumental, beautiful, and lighthearted version of this winter classic; featuring a melodious piano, bluesy electric guitar, steady bass lines, and jazz drums. A beautiful and lighthearted version of this winter classic; featuring an enchanting choir, a melodious piano, bluesy electric guitar, steady bass lines, and jazz drums. A pleasant and delightful instrumental version of this Christmas song; featuring a melodious acoustic guitar and a beautiful piano. A pleasant and delightful version of this Christmas song; featuring a brilliant mixed choir introduction, a melodious acoustic guitar, and a beautiful piano. A pleasant and delightful version of this Christmas song; featuring a brilliant mixed choir, a melodious acoustic guitar, and a beautiful piano. A joyful and vivacious instrumental version of this winter classic in an American Folk style; featuring a melodious piano, acoustic guitar, bass, and sleigh bells. A Christmas classic in a beautiful, comforting, and easy-listening version; featuring an enchanting piano melody and acoustic guitar with bass in the background. A Christmas classic in a beautiful, comforting version; featuring a delightful choir, an enchanting piano melody and acoustic guitar with bass in the background. A melodious piano, gentle acoustic guitar, and a passionate viola create a graceful and delightful version of this Christmas classic. 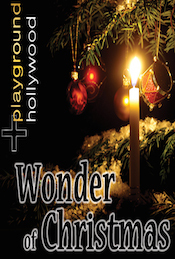 A melodious piano, gentle nylon guitar, enchanting choir, and a passionate viola create a graceful and delightful version of this Christmas classic.